Of the nearly 350 men and women who served in the Monuments, Fine Art & Archives Unit recovering and returning fine art, books and other items looted by the Nazis during World War II, six are still alive. 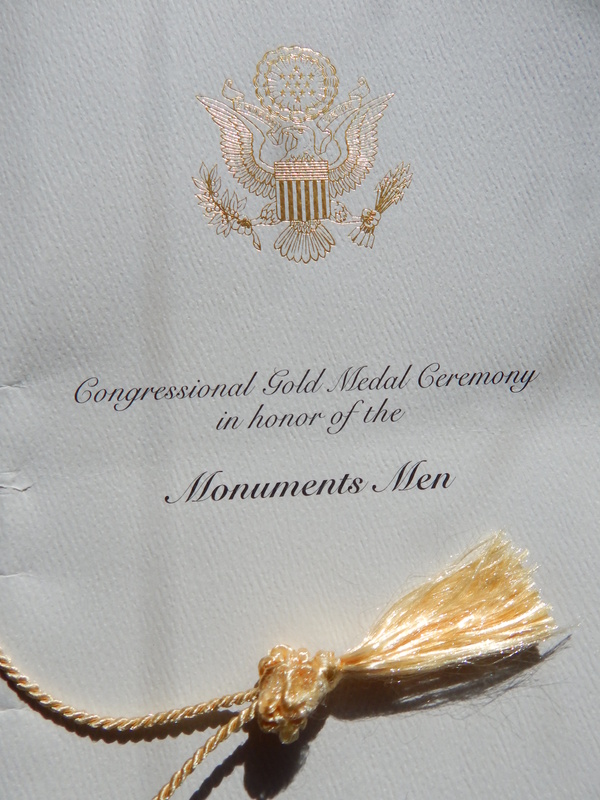 On Thursday, October 22, one of the youngest of the group, Mr. Harry Ettlinger, now 89 years old, accepted the Congressional Gold Medal on behalf of what has become known as The Monuments Men. 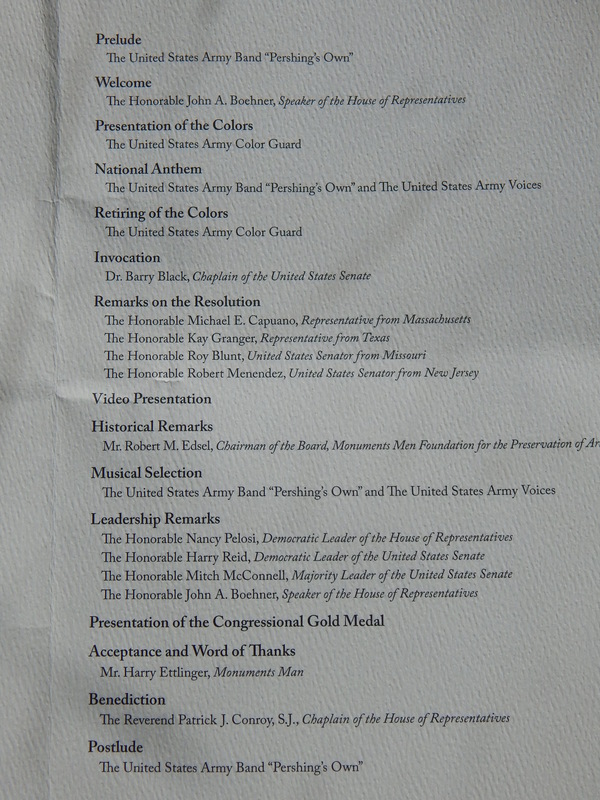 In attendance were 175 family members of the Monuments Men plus hundreds of others. It has been my pleasure to learn about the work of these men and women while researching the life of Joseph Anthony Horne. Below are a few pictures from the event where the political parties put differences aside to honor great deeds done in the past and encourage continued preservation of art and culture in these troubled times as well. U.S. Army Band Pershing’s Own and U.S. Army Voices preparing themselves. Member of U.S. Army Color Guard retiring the colors. Speaker of the House John A. Boehner about to present the gold medal. Mr. Harry Ettlinger, Monuments Man, accepting the award.